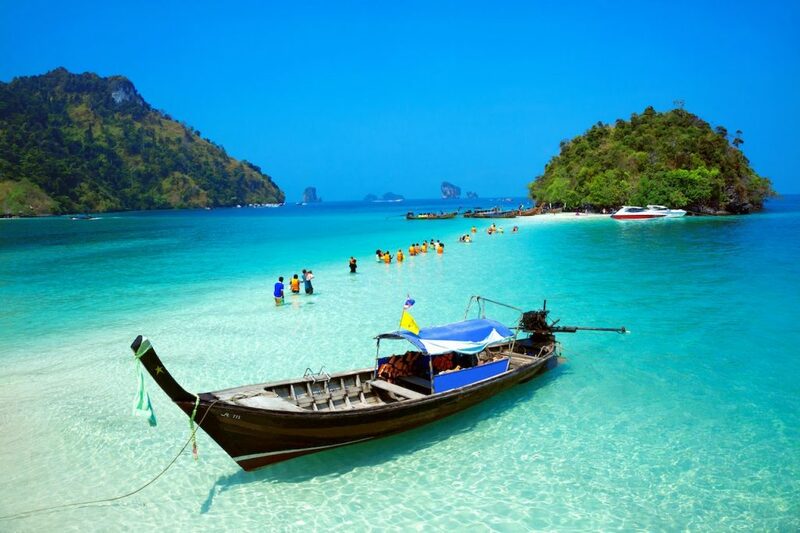 The southern coasts of Thailand are known for being picturesque and Krabi is no exception. Perfect for family holidays and larger groups, the soft sands, delicious cuisine and lush jungles nearby are sure to have you swooning. Whether you've booked your flights and want to start planning or you're just wondering when to go to Krabi, this list of the top ten things you should know is sure to help & top activities in Krabi! Look no further than Krabi for a tropical retreat. The south-west of Thailand boasts daytime temperatures upwards of 27 degrees all year round, making it the perfect getaway for sun-seekers. 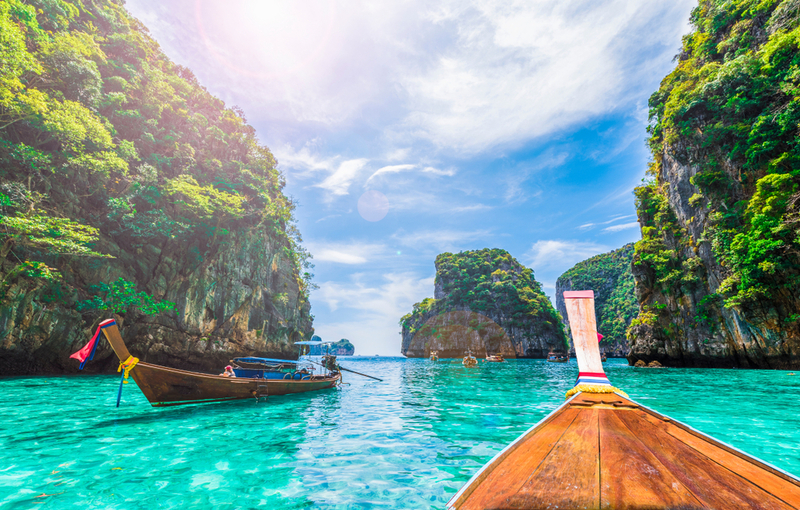 If your family photo album needs a few more blue skies and palm trees, the stunning coast of Thailand is sure to do the trick. If you're still deciding when to go to Krabi, consider a winter retreat – northeasterly winds bring the driest weather between December and April, meaning that between late January and March is the best time slot for pristine conditions. Naturally, though, this is also the busiest time of year! The rainy season peaks around September - so if you're happy to endure the occasional shower in return for fewer crowds, early summer vacations are a viable option too. Is Krabi Suitable for Families? Thailand is a vast and diverse country. 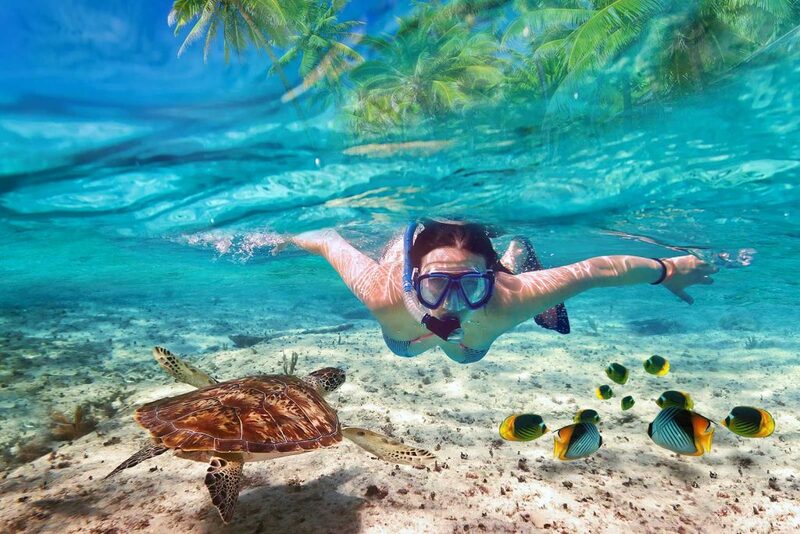 You might have heard that Koh Tao is a diver's paradise and Koh Phangan a backpacker's haven. Krabi, on the other hand, is undoubtedly the go-to destination for families. With a reputation as one of the safest parts of Thailand, it is perfect for family groups of almost any age. Boat trips, local markets, luxurious beaches and walks in the jungle will leave no excuse to be bored. What's more, you can be sure that the variety of restaurants available will satisfy even the fussiest of eaters. Can we Try the Local Delicacies? Looking for a vast array of different cuisines? You've come to the right place! As any guide to Krabi will show, there's a plethora of options when it comes to choosing where to eat. The popularity of Krabi with tourists has led to a rise in prices in some restaurants, however, you can still find authentic local dishes for less. Restaurants like the Kodam Kitchen in Ao Nang still offer local favourites including Thai Curries, Pad Thai and mango with sticky rice for very reasonable prices. 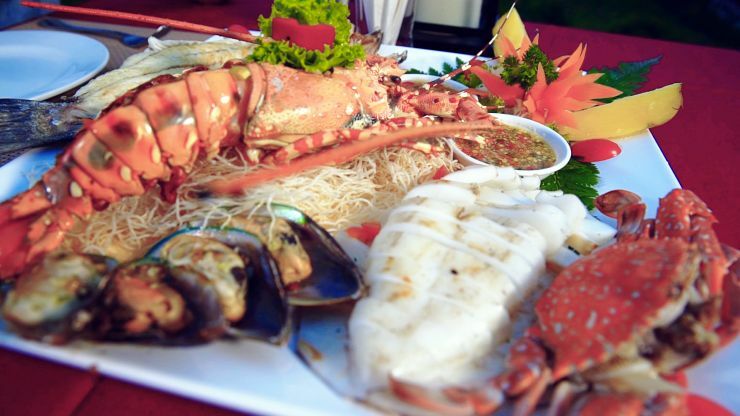 As with any coastal destination in Thailand, you can expect mouth-wateringly fresh seafood if you know where to look! Sa-ing Restaurant is an excellent choice, boasting an uninterrupted beach-side view of the sunset whilst indulging in a prawn curry or some tempura squid. Where Should I Stay in Krabi? From luxurious villas to backpacker hostels and everything in between, you'll find there is plenty of choices when choosing where to stay in Krabi. With a range of entertainment including a famous walking street for enthusiastic shoppers, Ao Nang is the most popular destination for families and first-time travellers. Public transport is plentiful and reliable, and the beach is only a short walk away. Prices from USD 358 per night. How Easy is Getting Around? Hopping between the best activities in Krabi needn't be expensive, as local taxis are plentiful. It's a good idea to ask someone from your accommodation how much you should pay - so as to avoid being ripped off! For the more adventurous though, flagging down a tuk-tuk is a thrilling and authentic alternative way to travel. With prices between 20 – 50 baht per person for places in your local vicinity, tuk-tuks offer one of the cheapest ways to get around. Finally, if you're planning a day out at sea, traditional wooden long-tail boats are a fabulous option. Colourful river taxis also run on a regular basis and are generally known for reasonable fares. Is Krabi good for the beach lovers and divers? The coastlines of Thailand are famously gorgeous and Krabi is no exception. Take Railay Bay – accessible only by boat, this stretch of stunning beach is surrounded by awe-inspiring cliffs. Unsurprisingly it has been the feature of postcards for many a year! For those who have soaked up enough sun, there are a range of beautiful dive sites in the area for professional scuba divers and amateur snorkelers alike – check out the Kon-Tiki diving centre for some of the best activities in Krabi. 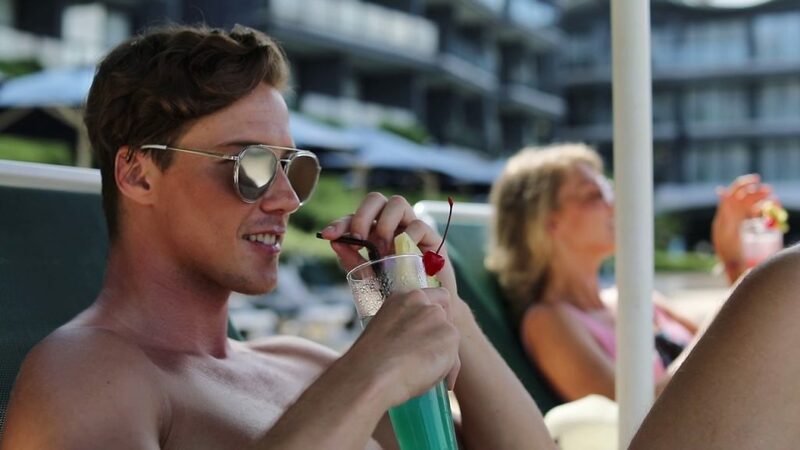 There are plenty of bars and restaurants where you can relax with an evening meal or beach-side smoothie whilst you watch the sun go down. I'm a Nature Lover – Is Krabi for Me? We really weren't joking when we said there is something for everyone! Krabi is a nature lover's dream. 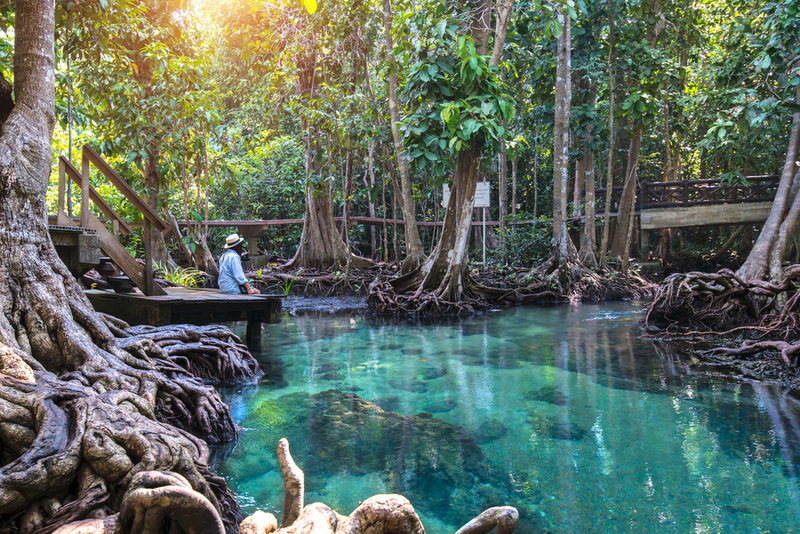 Why not spend a day trekking through nature to reach the beautiful Emerald Pool? The perfect excuse for bird-watching and spotting rare species of animals, you will be rewarded at the end of the trail by a mesmerizing crystal pool – perfect for taking a dip! For the adventurous, a visit to the Khao Khanab Nam Mountains promises to be one of the best activities in Krabi, boasting spectacular views and photography opportunities which shouldn't be missed! Consider organizing a jungle tour with a local tour company Krabi Andaman for the best experience. What Can I Expect from the Culture? Krabi is home to a diverse melting pot of cultures – it's history brags a mix of Muslim, Buddhist and Thai-Chinese cultural influences, all of which have lived together in harmony. Nearly everyone you meet will greet you with a beam and a sawadee krap (hello). 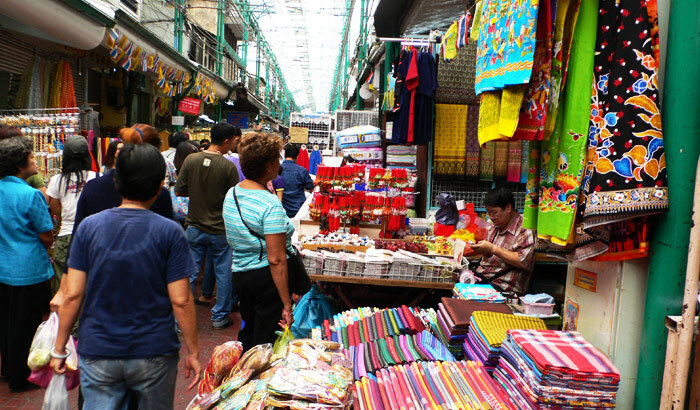 It is the cultural norm to haggle or bargain at market stores and with a bit of practice it becomes great fun! If you're buying t-shirts or souvenirs on the street you should expect to be quoted over the odds initially. So long as it is done with respect, haggling offers you the chance to save a bit of money and have a good laugh with street vendors. When it comes to tipping culture, leaving money for masseuses, waiters and hotel attendants is also a respectful gesture. Thai people are known for being friendly and welcoming despite the fact that many of them earn a pittance of what you pay for their services - a little goes a long way. The south-west coast is a gateway to the nearby islands. Day visits to any number of these isolated slices of heaven are among the best activities in Krabi. You can also arrange longer excursions without paying a bomb for the ferry. 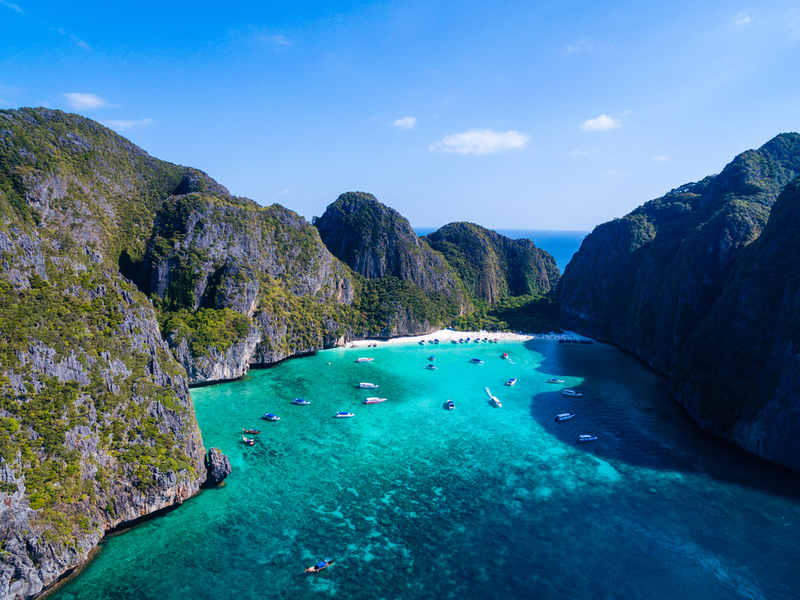 The Phi Phi islands are among the most famous of these, especially since they offer access to the turquoise waters of Maya bay - the famous destination of Leonardo DiCaprio in the 2000 film The Beach. The main island (Koh Phi Phi Don) is small enough to walk around in a few hours and still features hidden gems such as Monkey Beach, which is best visited by kayak. Another favourite is Koh Poda, which can be reached by longtail boat inside of half an hour. Featuring an incredible kilometre long beach, this is a perfect destination for kayaking, snorkelling and sunbathing. Sounds Great! What Should I Pack? Slip-on shoes. In Thailand it's often expected that visitors remove their shoes. This is a mark of respect when entering temples but is also common in restaurants and certain shops – so pack your flip-flops! Mozzie spray and sun-cream feature in any guide to Krabi! Both are available in any 7/11 but you'll find that it's much cheaper to stock up at home. Don't risk sunburn or getting bitten to pieces. Your power adaptor. You're looking for the one with two pins! Most sockets will accept Type A, Type C and Type E plugs (used in North America and continental Europe). Again, these are much cheaper to buy online at home. A dry bag. If you're planning any kind of beach or island expedition chances are your stuff might get wet! No-one likes dropping their phone in the sea. To get ready for sime cultural differences that might arise, check this guide to the hand and body language in Asia. Ready to book a relaxing retreat? Choose where to stay in Krabi and start booking your next family getaway now!